About us…Over forty years ago, Harris Performance Products Limited was established by Brothers Steve and Lester Harris and third director Stephen Bayford. 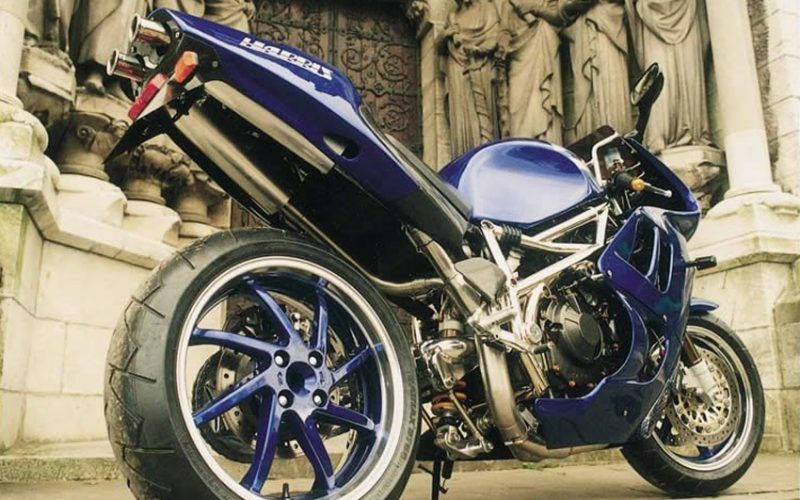 The Harris Company designs, develops, manufactures and markets road and racing motorcycle chassis and components that are marketed in the UK and exported worldwide. The enthusiasm of the company for motorcycle sport is as strong now as it was in 1972, they are great supporters of the adage “racing improves the breed”. The Hertford based workshops have the facilities and undoubted expertise for working with ferrous and non-ferrous metals, to include machining, welding and tube manipulation. 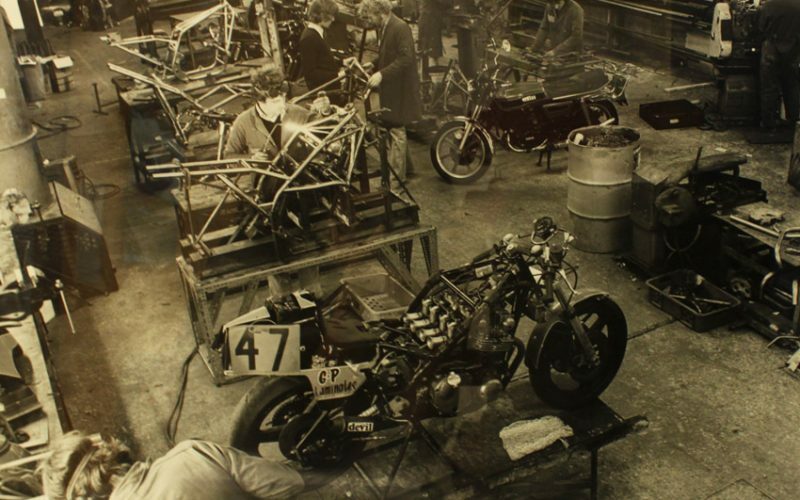 Harris policy has always been one of constant development and improvement of their road and racing components, many after-market accessories have been developed for standard motorcycles marketed by the major manufacturers. In addition to these, over 3,000 road bikes have been produced and sold from one-off specials to the famous Magnum range. On the racetrack, Harris machines and Teams have enjoyed success in all classes of road/closed circuit racing, including the creation and management of “The Shell Scholarship Team” at the behest of the Shell Oil Company UK, to give young talent the opportunity to develop their talent, the lead young rider being John McGuinness, Grand Prix, World Superbike, World Championship Endurance, Isle of Man and top Irish road races. Teams ranging from the top works equips to the smallest club set-up have come to Harris for winning machinery for more than four decades. In 1991, Harris were paid the ultimate compliment of being one of only two companies world-wide to be licensed by Yamaha Japan to buy factory race YZR500 engines for installation in Harris designed and built chassis for the blue ribbon 500cc Grand Prix World Championship class. The efforts made by Harris Grand Prix to compete with the “big boys” in the 500 class with what in 1995 was the biggest individual team with 3 x 500 GP riders, not only attracted the praise and enthusiasm of the motorcycle media and enthusiasts but also attracted the attention of Suzuki. In 1995, Harris were invited to create, organise and manage the official Suzuki factory World Superbike Team and to develop and race the latest Suzuki flagship, the GSX-R750 WT. In addition to managing this totally autonomous project, Harris were contracted by Suzuki to distribute the GSX-R750 factory type race kit components worldwide to Suzuki Superbike customers. The development of the GSX-R750 completed during the racing seasons ’96/97/98 through the partnership between Suzuki Motor Corporation and Harris established the GSX-R as a formidable race winner at all levels of the sport. Through 1999 and 2000, Harris retained their association with world championship, the hands-on aspect of racing was maintained through an involvement with Kawasaki Motors UK Superbike Team in 1999, and in 2000 the formation, running and management of the Harris Honda Britain Superbike team, developing the VTR1000 SP-1. Both of these teams included a “Scholarship” aspect to help young Superbike stars, including Shane Byrne, a policy Harris are anxious to continue. In 2001, Harris declined various offers to race with their own team at both national and international level. Mid 2001 the company was invited by Sauber Petronas Engineering AG to join them as their chassis partner in developing a 4-stroke Grand Prix racer using the SPE developed engine. This culminated in a complete new racer being presented at the Malaysian Motorcycle Grand Prix in October 2001. During 2002, there was concentration on further development and expansion of the core business, new products were designed and developed and more non-Harris products introduced into the catalogue of “Parts for Pros”. 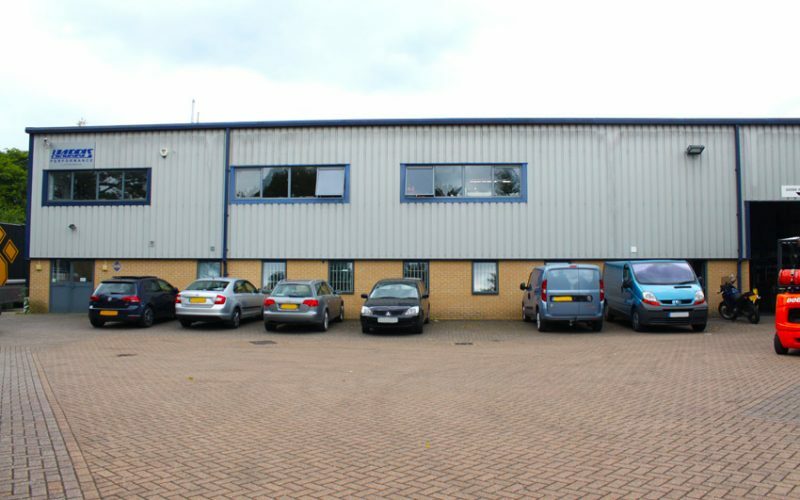 This expansion necessitated a move of the administration, sales, marketing, warehousing and dispatch aspect of the company to a new premises in late 2002. Traditionally, Harris products have been developed through the involvement and association with racing. This policy continued during 2002 with many new products evolving as a result. Many products benefiting from the information gained as technical support and product sponsors to the Virgin Aiwa Yamaha Team and from the association as Öhlins importers* with the Crescent Racing Rizla Suzuki Team. Toward the end of the year, Harris were approached by WCM to design, develop and build a moto GP machine to accommodate an engine unit they developed based on a Kawasaki 4 stroke power unit. This motorcycle contested moto GP during 2003 as the forerunner to the current 4 stroke Moto GP class. To compliment this racing and technical partner aspect Harris continued to diversify as a technical partner to the official Yamaha UK SuperMoto team in this exciting racing discipline. *Harris was the official UK importer and race representative of Öhlins suspension for approaching 25 years (until the Swedish factory established Öhlins UK as part of their Worldwide marketing policy), representing this technical suspension company in all aspects of road and race, on and off road motorcycling. Whilst no longer the importer, Harris are still a premier supplier and advisor for all things Öhlins . Over the next 10 years Harris continued in the same vain, developing Moto2 chassis with Harris machinery being on pole position at the French Grand Prix in inaugural year of this new GP class, designing and developing 125cc Grand Prix machinery for the first ever Chinese full factory team to enter Grand Prix. The company also expanded its marketing operation of non-Harris branded products, and are proud of their association with the respected motorcycling names and products to be found in this catalogue. With regard to product range and service, the Harris policy is one of constant development and improvement. These products, like those designed and manufactured by Harris, whether supplied for road or racing applications are all… “Race Proven”! Over a period of approximately 15 years Harris had done work for and been associated with Eicher Motors Ltd the Indian owner of Royal Enfield. From 2008> Harris were doing more work for this rapidly expanding Indian owner and producer of this famous British brand, culminating in the design and development in conjunction with designer Mark Wells of the current Continental GT. The success of this project prompted negotiations with Eicher Motors Ltd (Royal Enfield) to acquire the Harris Company. The negotiations were a success, and the acquisition of Harris Performance Products Ltd by Eicher Motors Ltd completed in June 2015. 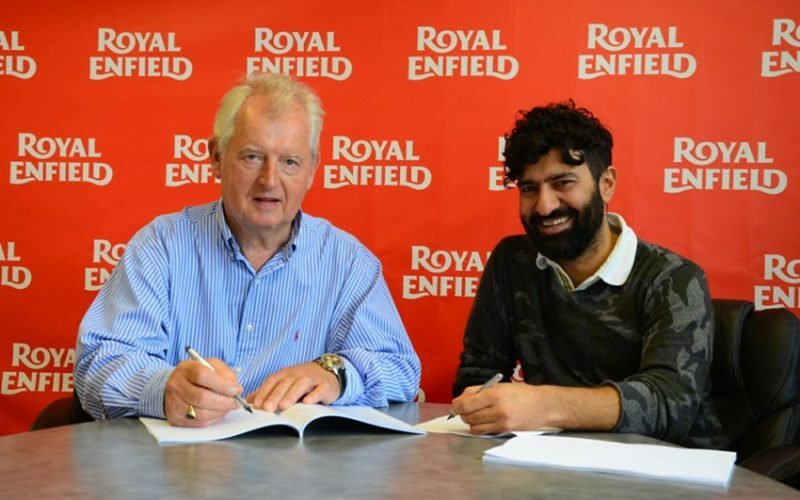 The company principles and staff are now proud to trade as Harris Performance (a unit of Eicher Motors Ltd) Whilst the priority is to support the development of new Royal Enfield product, Harris continue to support their many valued past customers and to develop and market new Harris and non-Harris product.